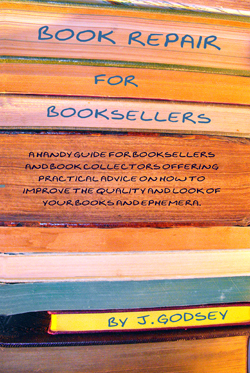 Book Repair for Booksellers A handy guide for booksellers and book collectors offering practical advice on how to improve the quality and look of your books and ephemera. Finally a book on book repair for the rest of us. Clear, easy to follow directions for repairing books at home or in the shop. 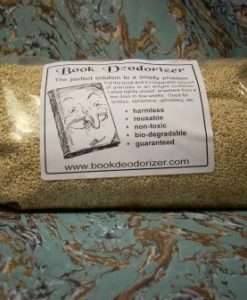 Includes torn pages, shaken spines, library pockets, bookplates, stickers, crayon, writing, insects, leather care and much more. 80 pages. A handy repair guide for booksellers and book collectors offering practical advice on how to improve the quality and look of your books and ephemera. Finally a book on book repair for the rest of us. Clear, easy to follow directions for repairing books at home or in the shop. Includes torn pages, shaken spines, library pockets, bookplates, stickers, crayon, writing, insects, leather care and much more. 80 pages. Your money back if you are unsatisfied with your purchase. Yes, you read that right.